SINCLAIRVILLE — The 20th annual History Fair sponsored by the Valley Historical Society of Sinclairville will be held on Saturday, Sept. 8, from 7 a.m. until the fireworks at 9 p.m. The event, which will include music, contests, historical events, a grand parade, a time of recognition and many food stands, has been one of the highlights of the village for many years. The Valley Historical Society museum will be open all day at no charge. 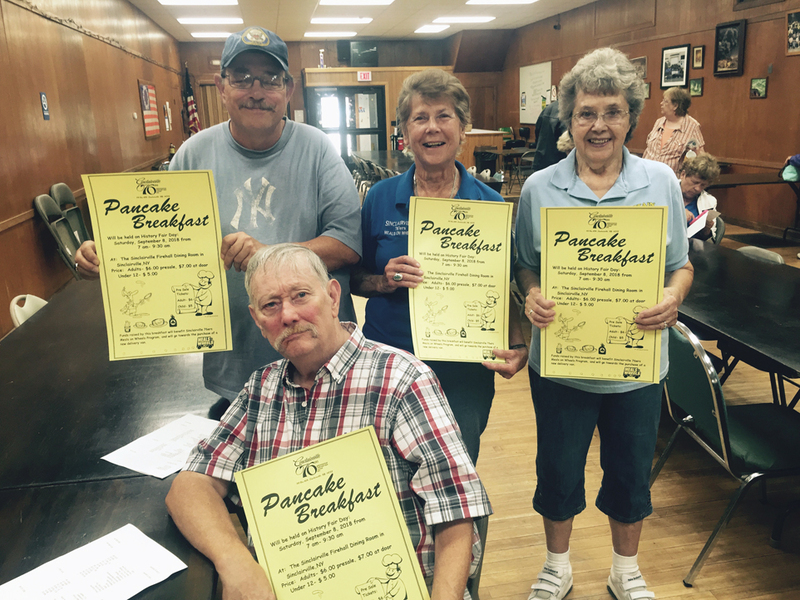 Carriage rides will be available at no charge The Sinclairville 76ers, which is the meals on wheels program for the Cassadaga Valley area, will hold its annual pancake breakfast that day from 7 a.m. until 9:30 a.m. in the Sinclairville Firehall dining room. Presale tickets may be purchased at the Sinclairville firehall dining room for $6 per person, or at the door for $7. Children’s breakfast is $5. Pictured planning the breakfast, standing, are meals on wheels volunteer Pete Skillman, Gloria Arnold and site manager Elsie Livermore.Seated is the cook Wally Jozwiak. 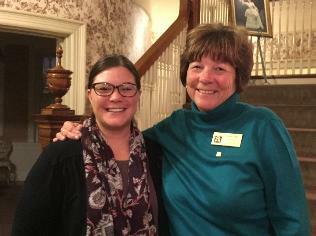 Meals are delivered three days a week by volunteers to Villenova, Cherry Creek, Conewango, Ellington, Cassadaga, Lily Dale, Bear Lake, Stockton, Centralia, Sinclairville and Gerry. For more information on the meals on wheels, call 962-3455.